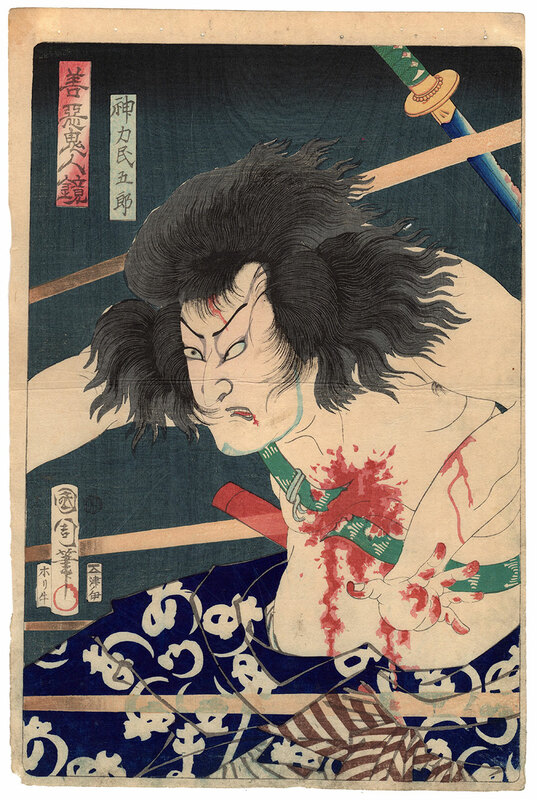 In this original woodblock print of 1868, the artist masterfully captures the dramatic moment in which a warrior armed with a sword must succumb to a hail of shots fired by his opponents' firearms. 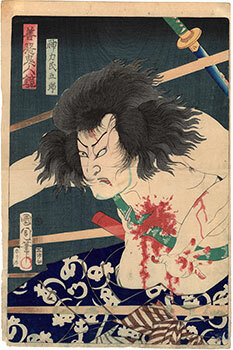 The protagonist of the scene, played by the actor Otani Tomoemon (大谷友右衛門), is Jinriki Tamigoro (神力民五郎), a warrior belonging to the Shogitai (彰義隊), literally the "Battalion to Demonstrate Righteousness", an elite military formation loyal to the shogunate that during the last years of the Edo period (江戸時代) was nearly exterminated by the imperial troops. 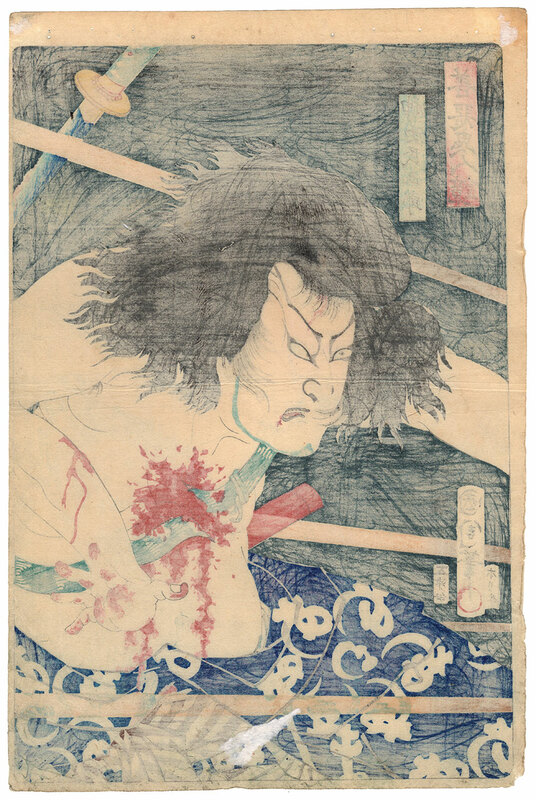 The work is taken from the series "Mirror of Demonic People, Good and Evil" (善悪鬼人鏡) by the artist Toyohara Kunichika (豊原国周) and was produced by the publisher Tsunoi (津ノ伊) and by the engraver Tanaka Hori Ushi (田中彫牛). 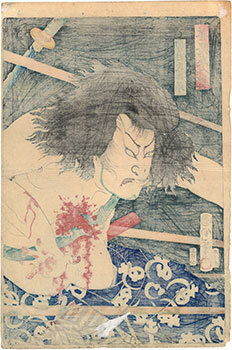 The precious print on Japanese washi paper (和紙), despite the right signs of aging including imperfections on the margins and an obvious sign of horizontal bending, is in good general condition.